A less than satisfactory visit with the Mater to the photographers; Adela is still sending Edgar his missing kit and Nannie wants to know if he needs any more underwear. 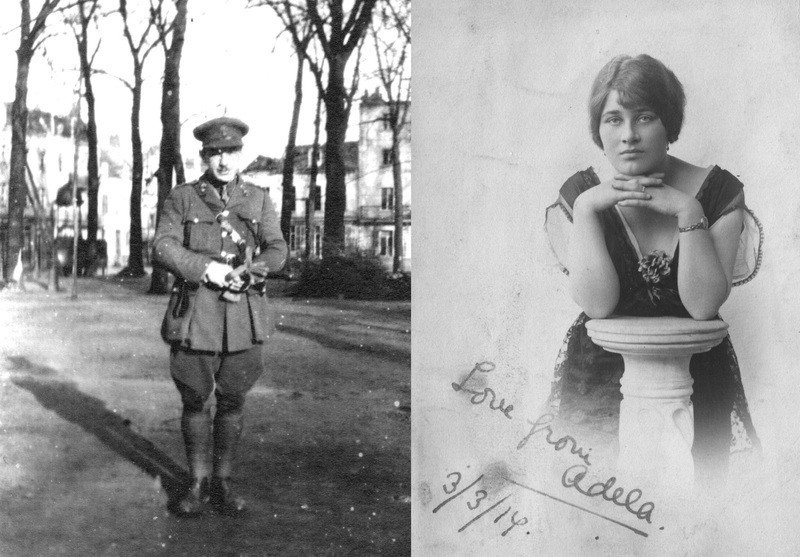 Daisy and Joe are excellent companions for Adela – helping keep her spirits up now Edgar is back in France. I’ve been shopping all the morning and went to see S. this afternoon but couldn’t find him so have come back all by myself. Daisy has gone to play tennis. I went to Edwin Hearne [Photographers] yesterday and was very surprised at the whole place & people. So was the Mater. She went with me. We went into the room where you and I went, and the three girls were there, too lazy to say good afternoon even. Then we were taken upstairs into a very bad sort of dressing room and were kept there for half an hour … Well! All I can say is this if the photos were 5/- a dozen they couldn’t have taken less interest in them and no Edwin Hearne about it. Just a very tired, fed up girl, so you can imagine what the photos will be like. And when we came down there they all were sitting down, never attempted to open the door or get up. I thought it was very slack, especially as the Mater was there. They have 3 places so he can’t be at all the places at once can he? I couldn’t help laughing; they were so cool. I sent your [?] off this morning. I hope you’ll get it all right. I heard from R. this morning that Winifrede is at home [Broadgate, Devon] again. She is a funny kid isn’t she? Nannie wants to know if you want any more underclothes sent on to you. I do hope I hear from you tomorrow … I should be happy. It is very foggy and cold. The Mater has just come back. Joe [Agius] is very funny. I wish you could hear Daisy & he at breakfast. Were you sick crossing? I was in the night. I haven’t got over that curry yet! !